Since helping people change their skin and change their lives has become my passion, I thought I would share some simple skin care tips. You can use these tips no matter what types of products you use. Just promise me this - that you WILL wash your face. -DO NOT go to bed with makeup on. Not only does this clog your pores, but sleeping with eye makeup on can be really harmful to your eyes. You risk getting an infection by leaving eye makeup on while you sleep. -It is best to wash your face two times a day. Washing your face in the morning prepares your face for the day and washing your face at night wipes away your makeup and any other particles that you picked up during the day. -If a wash/cleanser does what it should, it will pull impurities out of your skin, open up the pores and clean the dead skin, dirt and bacteria away from your face. If it is a cheap wash, it will just push the junk around your skin instead of cleaning it off. -Just say YES to sunscreen and SPF. To prevent brown spots, sunburns and extra aging, wear sunscreen daily - whether you wear makeup or not. A lot of makeup has SPF included, but it is also best to wear a moisturizer that contains SPF. -Just say NO to bubbles and foam while washing your face. They destroy the delicate lipid barrier of the skin and ruin the skin's natural moisture process. 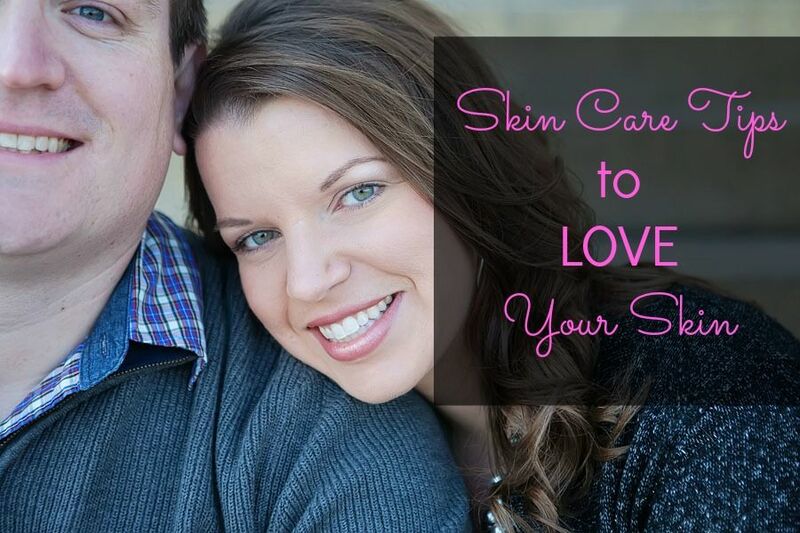 If you have oily skin, it will become more oily; if you have dry skin, it will become more dry. -Exfoliate once a week. Your face has tons of dead skin cells, just sitting on your face. If you exfoliate you will remove the dead skin, revealing a glowing, more beautiful face. -Drink lots of water! This will help to hydrate your skin, making it smoother and helping to keep it clear. -There is not one single product that will fix everything with your skin. You aren't going to find anything on the market that will remove your makeup, clean your skin, moisturize, remove brown spots, clear up acne and prevent aging. Trust me, nothing like that exists. So if a product claims to do it all, run the other way. -Get your beauty sleep! A good night's sleep will keep the dark circles from appearing under your eyes, meaning you don't have to waste money on under eye concealer. Great tips! Skincare can be daunting, and as I approach my 30s I'm even more confused on what I should do for my skin! I have a friend who goes to bed with makeup on. I about freaked out on her when she told me that. I need to get better at exfoliate.